Some of the largest U.S. cities now have only half the people they had a half-century ago. Much of that loss happened because their suburbs were judged better places to live. Suburban living sold. City living didn't. That, says John Gann, can change. Unless we want more Detroit-style decay and bankruptcy, he adds, it has to. Cities are simply products in the marketplace, John explains, that have been losing many of their customers to competitors and failing to attract enough new ones. Their suburbs gave cities their first real competition, to which they utterly failed to respond. The suburbs sold because they were well marketed. The cities were not. To come back, John argues, cities need strong marketing just like any product in trouble. But marketing is a remedy almost completely ignored by urban experts. Now that can change. Cities can sell themselves. A unique, action-oriented manual, Selling City Living: How Cities Can Compete With the Suburbs for Growth tells you how. John shows that the first and most important step of a marketing solution is to make the product--the older city--more marketable. That means making those improvements that will most increase appeal to potential customers. But that's not how improvements are usually chosen. The next step is to define who to sell to in marketing programs and what cities can sell. 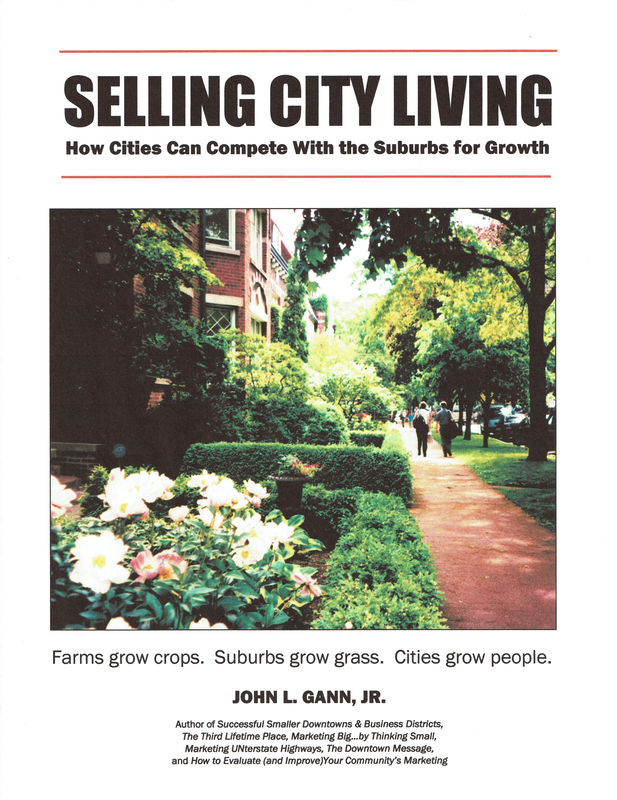 In Selling City Living John spells out specifics for each.